Since 2003, the annual Speak Up survey has collected data from students, parents, educators and the local community about technology, learning, and schools. 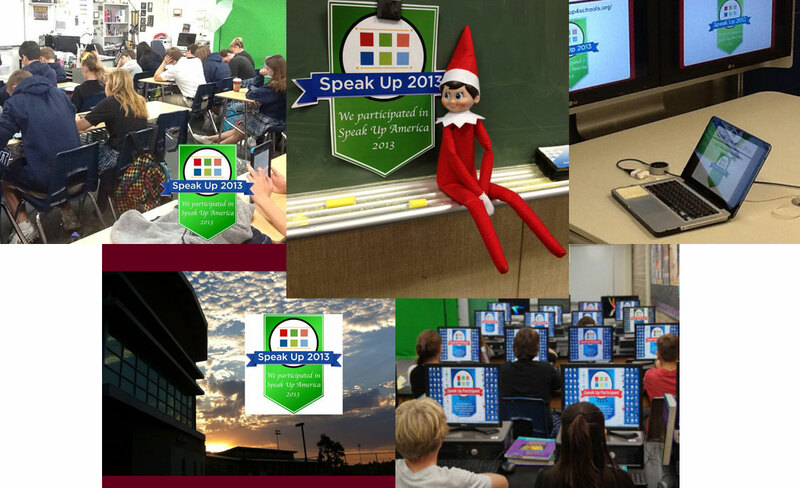 This year over 403,292 Students, Parents and Educators representing over 8,000 schools nationwide participated in Speak Up. In honor of the superb survey period that took place this during Speak Up 2013, Project Tomorrow launched the inaugural “Speak Up America 2013” campaign, a weeklong event to celebrate Speak Up participants, past, present and new! 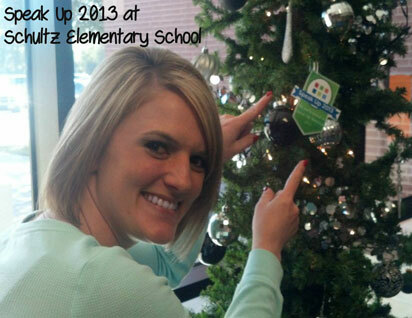 Below you will find all the great promotions and happenings that took place during Speak Up America 2013. 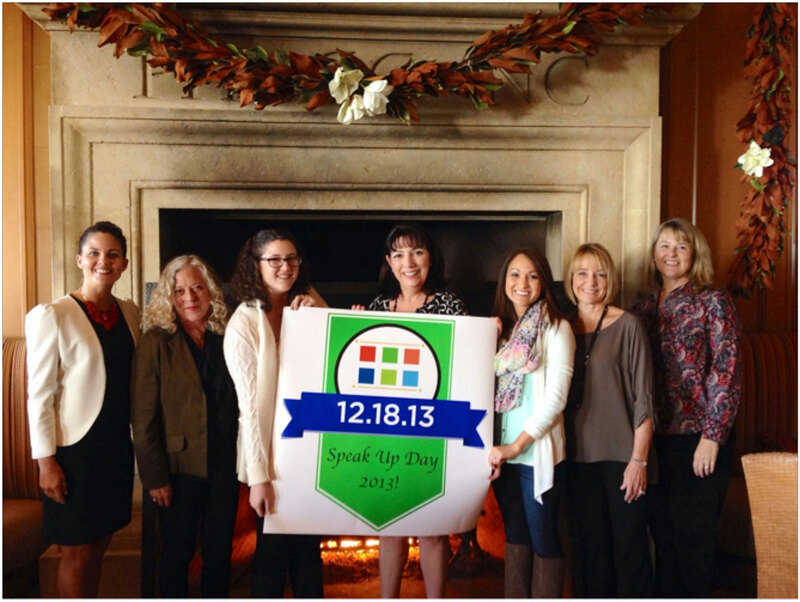 Be sure to check back next year to learn about all the fun and exciting events that will be taking place during Speak Up 2014! 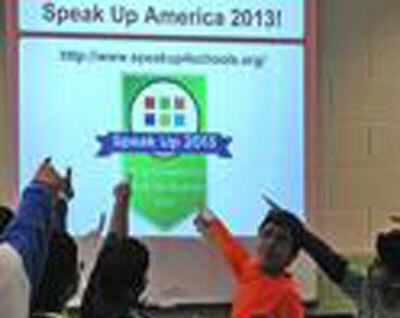 Speak Up America $500 Classroom/School Photo Challenge Winners! Free ISTE Conference registrations – Winners! How does your state compare? View the “Are you Speaking Up” state participant map to learn about how your state participated in Speak Up. 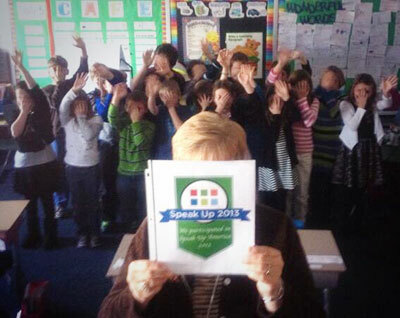 Thank you to everyone that donated 15 minutes of your time on National Speak Up Day for the future of education! The highlight of the Speak Up America 2013 Campaign took place on Wednesday December 18, 2013with the launch of our first ever National Speak Up Day! National Speak Up Day was the day to encourage participation and America did with over 16,500 students, parents, educators and members of the community sharing their voice nationwide! Thank you to everyone that participated not only in Speak Up Day but during the entire Speak Up survey period. And thank you for supporting the mission of Project Tomorrow to ensure that every student has access to innovative learning opportunities. To celebrate technology and all our wonderful Speak Up participants we launched the first annual “Speak Up America Photo Challenge” during the week of December 16. 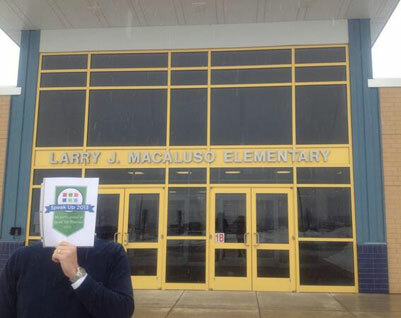 During the photo challenge educators and schools were given the opportunity to earn a daily $500 grant. 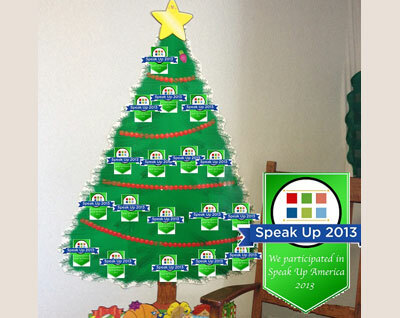 All participants needed to do was take a picture with the Speak Up America 2013 Badge and post to one our social media accounts (facebook, Instagram or twitter) or by email with the hashtag #speakupsnapshot to be entered to win. We had a fantastic turnout with entries from all around the country. Our winners include a private school teacher in Arizona, an elementary teacher in Pennsylvania, a Junior High school in Illinois, a high school library in California, and a middle school computer graphics teacher in California. Congratulations to all our winners! 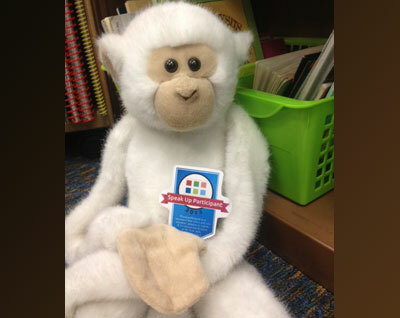 Be sure to join in on the fun next year by take part in our Speak Up 2014 America Photo Challenge. Check below for a list of winners and for ideas to get ready for next year’s challenge! Thanks to our good friends at ISTE, we received two 2014 ISTE conference registrations (each a $269 value) to gift to two of our Speak Up districts just for their participation in the survey during the Speak Up America Campaign. Congratulations to our Speak Up America day winner Onslow County Schools, North Carolina and to Fairfax County Public Schools, Virginia for taking home the Speak Up America week free ISTE registration! Be sure to check back next year for the great promotions and happenings that will be taking place throughout the survey period and Speak Up America week. In addition their free ISTE conference registration, the selected recipients attending the conference will also have the opportunity to join our CEO Julie Evans for some real Southern Cooking at Pitty Pat Porch in downtown Atlanta. In celebration of our first annual Speak Up America campaign, we pulled a special snapshot of preliminary data for students, parents, teachers, administrators and community members. Each day during the Speak Up America campaign we released a special infographic on NEW Speak Up findings. This was also the first time we’ve ever pulled a sampling of the Speak Up data before the completion of the survey! Click each audience to view the 2013 preliminary data infographic for that group, or to view them all go to: https://www.tomorrow.org/speakup/speakupamerica_snapshot.html! Was your state one of the top participating Speak Up states? Can your state do better next year? 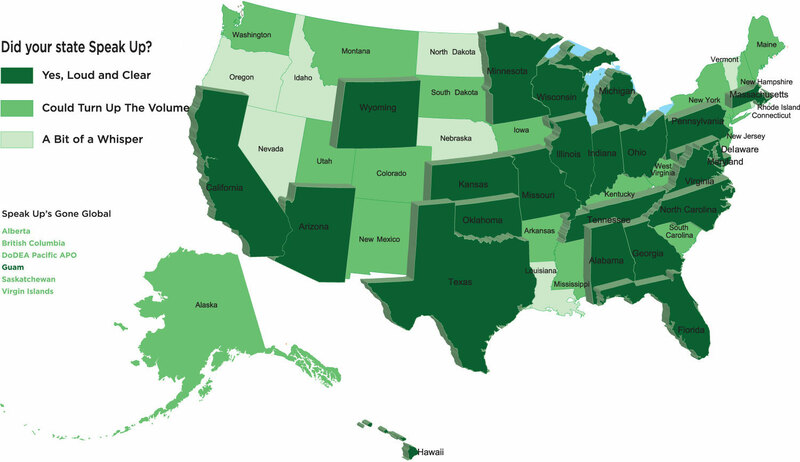 View the “Did your State Speak Up” state participant map below to learn about how your state participated in Speak Up. Loud and Clear. 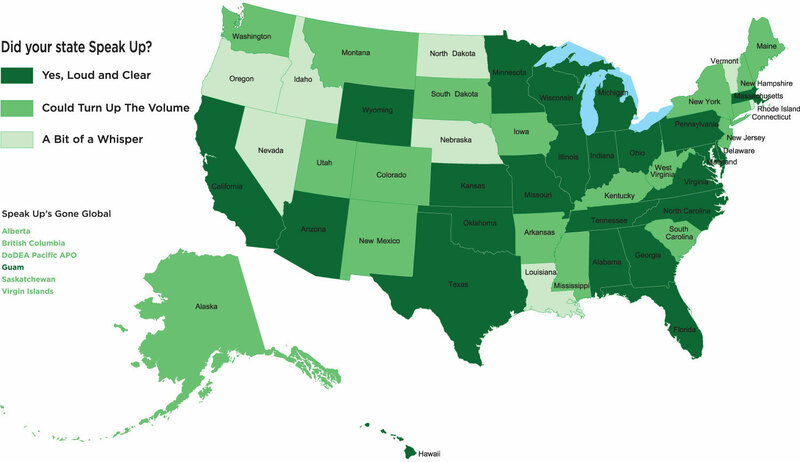 Your state was among the top participating states across the country! Congratulations, let’s do it again next year! Could Turn Up the Volume. Great job, you got out there and spoke up! Goal for next year, aiming for LOUD AND CLEAR status! A Bit of a Whisper. No worries, there’s always next year. Let’s work on spreading the word and encouraging your state to be more involved in Speak Up 2014!